Whitney is an expert in user research, user experience, and usability, with a passion for clear communication. As Principal Consultant at Whitney Interactive Design, she works with large and small companies to develop usable Web sites and applications. She enjoys learning about people around the world and using those insights to design products where people matter. She also works on projects with the National Cancer Institute / National Institutes of Health, IEEE, The Open University, and others. Whitney has served as President of the Usability Professionals’ Association (UPA), on the Executive Council for UXnet, on the board of the Center for Plain Language,and as Director of the UPA Usability in Civic Life project. 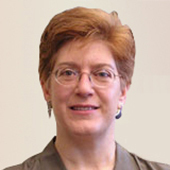 She has also served on two U.S. government advisory committees: Advisory Committee to the U.S. Access Board (TEITAC), updating the Section 508 regulations, and as Chair for Human Factors and Privacy on the Elections Assistance Commission Advisory Committee (TGDC), creating requirements for voting systems for US elections. Whitney is proud that one of her articles has won an STC Outstanding Journal Article award and that her chapter in Content and Complexity, “Dimensions of Usability,” appears on many course reading lists. She wrote about the use of stories in personas in the chapter “Storytelling and Narrative,” in The Personas Lifecycle, by Pruitt and Adlin. Recently, Rosenfeld Media published her book Storytelling in User Experience Design, which she coauthored with Kevin Brooks. Follow Whitney’s tweets for the Center for Plain Language.